I plan to refer anyone in the DC/MD/VA area that I know looking to sell, lease, or buy to you - I really appreciate your hard work! "Thank you for getting me top dollar for my condo in such a short time. You delivered on all your promises and I am happy that I listed with you." Thank you so much for all of your assistance helping to sell my aunt’s condo at Skyline Square. After reading your background and then meeting you, I did not think twice about enlisting your service. You know the area better than anyone and are highly involved in each element of the transaction. You emanate a sense of trustworthiness that makes your client feel at ease and very secure during the entire process. Your dedication to customer service and satisfaction is evident from the start through closing. Working with you on this “Quick Sale” has been a pleasure! 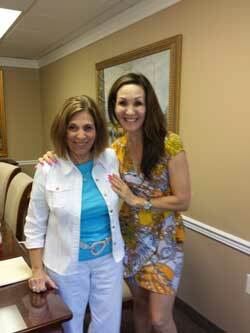 "Elena, I can't thank you enough for the hard work you put in to achieve the sale of my Aunt's condo so quickly. You have been a true professional during this process and have shown nothing but respect to my Aunt Marie who is so very special to our family. On behalf of all of Aunt Marie's family- A heartfelt thank you and gratitude." "Elena - Many thanks for helping me sell my condo. I have been through several real estate transactions in the past, and I can enthusiastically say your Professionalism, Skills and Hard work on my behalf made this one the easiest of all. I was most impressed by the way you got involved without my asking to manage all of the pesky little details that would normally require extra time and effort on my part. I wholeheartedly recommend you to anyone looking for a tireless, engaged, and skilled real estate agent. Elena Gorbounova is the best of the best, as a realtor and as a person. I recommend her most highly." "Elena is a go-getter. In addition to her expertise in the Skyline market, I hired Elena for three key reasons. First, I value frequent and clear updates, and Elena is always on top of things. Second, Elena's commitment and dedication to a speedy process - it felt like I was her priority. Third, Elena was flexible and understood my situation. As a family with an infant, our hours and availability varied based on our baby's needs. Elena was patient and flexible. I'll definitely work with Elena and her team again!" 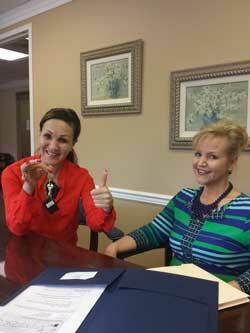 "I am very grateful to my real estate agent Elena Gorbounova who helped me in purchasing the condo of my dream. Elena was OUTSTANDING in every step of transaction starting from the search and ending in closing. I am sure I was one of the more challenging clients for Elena – I had a narrow price range, yet I was focusing my search in an expensive area … The process seemed hopeless at times as I was not able to outbid other buyers in price, yet I did not want to redirect my search to another area. The months have passed, and my search continued. Many other agents would probably stop working with me and redirect their efforts toward more “profitable” clients. Yet, Elena was always available to me and ready to help. By this time, we built a deeper connection than just “business” relationship between a buyer and an agent. Elena understood the challenges that I was facing with three small children, and she understood why it was important for me to find a place in the particular area. I cannot compliment enough how honest, hard-working, ethical, and kind was Elena in every interaction. When finally the right condo came on the market, we were able to submit our bid quickly. Elena was very professional during the negotiation; we were able to get our offer ratified due to her skill as a negotiator and reassurance that we will do everything right on our side to close on time. We did it! I am thankful to Elena for working hard to help my family to find exactly what we were looking for and in our price range. I am even more thankful to her for being kind and understanding and not giving up on us during this long and at times frustrating process. I would be happy to recommend Elena to any person who is looking for an honest, ethical, and hard-working professional. You can count on Elena’s honest advice, Elena will always keep her word, she will be available for you any time you need it (her responsiveness is amazing! ), and she will deliver results! The most important is you will have not only the high level professional on your side, you will have a really GOOD PERSON on your side. Elena, thank you for your hard work! We love our new place. I wish you a lot of success professionally and happiness in your life personally. And I know both will come to you because you deserve it!" "As an anxious perfectionist I have always been uncomfortable looking for a home. However, my home search with Elena turned out to be one of the best experiences of my life. She not only is a professional, intelligent, punctual and caring agent, she is a great friend who makes the most stressful situations seem enjoyable. Thank you, Elena, I wouldn’t have been able to do this without you. You set my standards so high that I don't think I could ever work with any other real estate agent. So I will be knocking on your door if I ever need help from a real estate broker. Also, Kirill as a young and energetic partner covering the economic and statistics side of the process is a valuable addition to your capabilities. You are a great team. Thank you! You set my standards so high that I don't think I could ever work with any other agents other than you." "I had an extremely positive experience selling my condo w/ Elena, whose professionalism and diligence helped make a sale possible within a month. Elena was extremely knowledgeable and kept me informed throughout the process, which began w/ her wise recommendations on preparing and pricing the property to her persistence in closing the deal. W/ her depth of experience in the Skyline area especially, I would definitely advise that you have her on your side when selling your property"